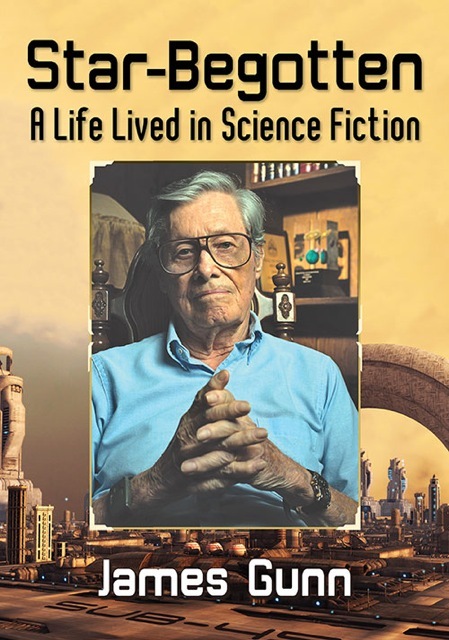 2017 marks Jim’s eightieth year in science fiction, if we date Jim’s transformative moment to when he saw H.G. Wells speak at the Kansas City Municipal Auditorium in 1937. At that momentous occasion, Wells spoke on his idea of the “Open Conspiracy,” of people of intelligence and good will working together to make a better world. Jim coined his own version of this idea, “saving the world through science fiction." 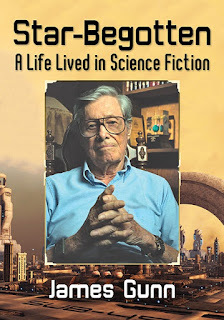 The third volume of Jim’s Transcendental trilogy, Transformation, will be out from TOR, and Jim has since written a number of companion stories that will be coming out in Asimov’s over the next several months. McFarland will be publishing Jim’s memoir STAR-BEGOTTEN Later in the year.